The other parties include Pegatron, Wistron, and Compal, Reuters said. 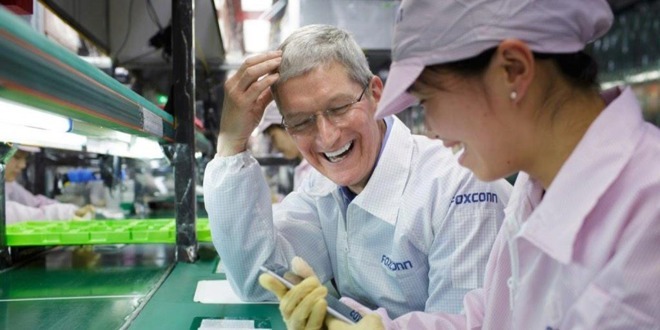 Qualcomm normally charges royalties to Apple's manufacturers, which are then compensated. In April, however, Qualcomm revealed that Apple was withholding that compensation, and accordingly the manufacturers are refusing to pay down the chain. "While not disputing their contractual obligations to pay for the use of Qualcomm's inventions, the manufacturers say they must follow Apple's instructions not to pay," Qualcomm elaborated in a statement. The company is pursuing an order that would force the manufacturers to comply with their contracts, as well as pay relief and damages. In January, Apple launched a $1 billion lawsuit against Qualcomm, arguing that it was abusing its market position to obtain unfair royalties, and bullying chip buyers into signing patent licenses. A countersuit began in April, accusing Apple of breaking contract and wanting to pay less than market value for patents. Before Apple began withholding 2017 royalties, the company was already withholding $1 billion from 2016 sales. Qualcomm offset the damage by holding back money it owed Apple under a cooperation agreement.